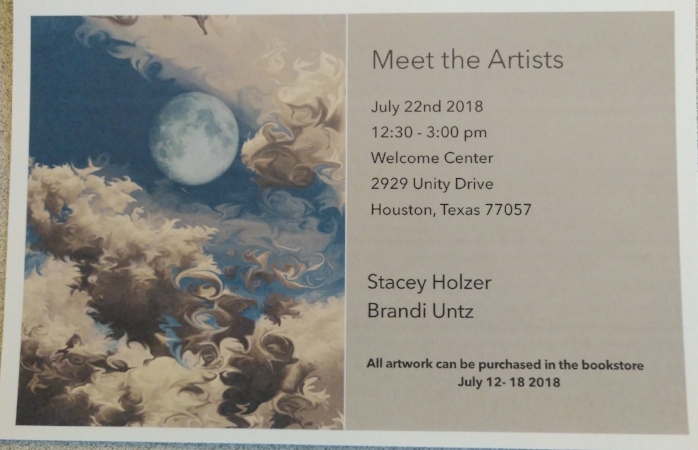 Come join me and artist Stacey Holzer at Unity Church for an artist Reception from 12:30-3:00pm. Stacey and I have select works up in Unity's new Art Gallery space. If you can't make it, the work will be viewable through August 18th. A percentage of sales goes to support the Unity Bookstore. All work available for purchase.